Here, the focus will be given to clinical drug discovery based on how lactose intolerance and human microbiome related to treat cancer patients or other diseases. In sum, creating clinical relevance with human microbiome require knowledge of both of the worlds to make best of it to solve complex diseases naturally. The huge undertake as a roadmap to biomedical research originated by NIH under The Human Microbiome Project (HMP) (http://nihroadmap.nih.gov) with 250 healthy individuals as a starting point. Recent developments opened the doors to pursue us to understand how human microbiome reflects on metabolism, drug interactions and numerous diseases. Finally, association between clinical states and microbiome are improving with advanced algorithms, bioinformatics and genomics. In classical reading tests questions finding the simile between two groups of words can well relate how microbiome- human and soil-earth relates. Both are rich in microbial life with quite changing characters to survive through commensal living. Thus, it is also good to talk about how we can synthesize existing info on interactions between soil microorganisms and decomposers for human diseases and human microbiome. Epidemiology of living organisms is diverse but they all share common interest. In soil, for example, radioactively contaminated soil can’t support plant growth well so Nitrosomonas may support to bring the life to soil through supplying nitrogen. And others can be added to bring a favorable enriched soil. In human microbiome nutrition-diseases interacts in such a harmony with genetic make up (the information received at time of birth germline- or acquired later in life due to mutations by various reasons). For example, the simplest example is lactose intolerance and the other is development of diabetes. Generally, it is described as If person is missing a gene to metabolize lactose (sugar) this person become Lactose intolerant yet this can be gained before birth or after. The fix is easy since avoiding certain food groups i.e. milk products. Yet, this is not that simple! In human microbiome, the rich gastrointestinal (GI) tract contains many organisms and one of the most important ones is Enterococci that are often simply described as lactic-acid–producing bacteria—by under- appreciation of their power of microbial physiology and outcomes as well as their ubiquitous nature of enterococci. Schleifer & Kilpper-Bälz, 1984 also reported that the Group D streptococci, such as Streptococcus faecalis and Streptococcus faecium, were included in the new genus called Enterococcus. The importance of this genius, consists of 37 species, coming from their spectrum of habitats that include the gastrointestinal microbiota of nearly every animal phylum and flexibility with ability to widely colonize, intrinsic resistance to many inhabitable conditions even though they don’t have spores but they can survive against desiccation and can persist for months on dried surfaces. Furthermore, they can tolerate extreme conditions such as pH changes, ionizing radiation, osmotic and oxidative stresses, high heavy metal concentrations, and antibiotics. There is a double sword application as these organisms used as probiotics to improve immune system of the host. If it is human to prevent contaminated food related diseases or in animals prevent transmitting them to the consumers. Thus, E. faecium and E. faecalis strains are used as probiotics and are ingested in high numbers, generally in the form of pharmaceutical preparations to treat diarrhea, antibiotic-associated diarrhea or irritable bowel syndrome, to lower cholesterol levels or to improve host immunity. When it comes to human body within each system specific organs may create distinct values. For example the pH values of GI tract vary and during diseases since pH levels are not at at correct levels. As a result, due to mal-absorption of nutrients and elements such as food, vitamins and minerals body can’t heal itself. This changing microbial genomics on the surface of GI reflects on general health. Entrococcus family among the other GI’s natural flora has the microbial physiology adopt these various pH conditions well. Our body has its own standards to function, such as pH, temperature, oxygen etc these are basics so that enzymatic reactions may happen to metabolize,synthesizing (making) or catalyzing (breaking) what we eat. The pH is the measure of hydrogen-ion concentration in solution. For example, human blood has a narrow pH (7.35 – 7.45 ) and below or above this range means symptoms and disease yet if blood pH moves to much below 6.8 or above 7.8, cells stop functioning and the patient dies since the ideal pH for blood is 7.4. This value is unified. On the other hand, the pH in the human digestive tract or GI changes tremendously to adopt and carry on its function, the pH of saliva (6.5 – 7.5), upper portion of the stomach (4.0 – 6.5) where “predigestion” occurs, the lower portion of the stomach is secreting hydrochloric acid (HCI) and pepsin until it reaches a pH between 1.5 – 4.0; duodenum, small intestine, (7.0 – 8.5) where 90% of the absorption of nutrients is taken in by the body while the waste products are passed out through the colon (pH 4.0 – 7.0). Why is pH important and how related to anything? Development and presence of cancer always require an acid pH and lack of oxygen. Thus, prevention of these two factors may be the key for treatment of cancer as it progress the acidity increases such that the level raises even up to 1000 more than normal levels. Mainly, due to Warburg effect body opt to get its energy from fermentation of glucose and produce lactic acid that decreases the body pH from 7.3 down to 7 then to 6.5 in advanced stages of cancer. Furthermore, during metastases this level even reaches to 6.0 and even 5.7 where body can’t fight back with the disease. (Warburg effect is well explained previously by Dr. Larry Berstein (www.linkedin.com/pub/larry-bernstein/38/94b/3aa). How to bypass the lack of oxygen naturally? One of the many solution can be a natural solution. The nature made the hemoglobin carrying bacteria, Vitreoscilla hemoglobin (VHb), which is first described by Dale Webster in 1966. The gram negative and obligate aerobic bacterium, Vitreoscilla synthesizes elevated quantities of a homodimeric hemoglobin (VHb) under hypoxic growth conditions. The main role is likely the binding of oxygen at low concentrations and its direct delivery to the terminal respiratory oxidase(s) such as cytochrome o. Then, after 1986 with detailed description of the molecule other hemoglobins and flavohemoglobins were identified in a variety of microbes, indicating the widespread occurrence of Hb-like proteins. Currently, it is the most studied bacterial hemoglobin with application potentials in biotechnology. It is a plausible solution to integrate Vitroscilla and Enterobacter powers for cancer detection and treatment naturally with body’s own microbiome. However, there are many microbial organisms and differ person to person based on gender, age, background, genetic make-up, food intake, habits, location etc. The huge undertake as a roadmap to biomedical research originated by NIH under The Human Microbiome Project (HMP) (http://nihroadmap.nih.gov) with 250 healthy individuals as a starting point. 3. Initiate scientific studies to collect more data. In sum, creating clinical relevance with human microbiome require knowledge of both of the worlds to make best of it to solve complex diseases naturally. Author-Writer: Stephen J. Williams, Ph.D.
Franz CM, Holzapfel WH, Stiles ME. “ Enterococci at the crossroads of food safety? Int J Food Microbiol.” 1999 Mar 1; 47(1-2):1-24. Franz CM, Huch M, Abriouel H, Holzapfel W, Gálvez A.Int J Food Microbiol. “Enterococci as probiotics and their implications in food safety.” 2011 Dec 2; 151(2):125-40. Epub 2011 Sep 8. Kayser FH.”Safety aspects of enterococci from the medical point of view.” Int J Food Microbiol. 2003 Dec 1; 88(2-3):255-62. Stark BC, Dikshit KL, Pagilla KR (2012). “The Biochemistry of Vitreoscillahemoglobin“. Computational and Structural Biotechnology Journal 3 (4): e201210002. Brenner K, You L, Arnold F . ( 2008 ). “Engineering microbial consortia: A new frontier in synthetic biology .” Trends in Biotechnology 26 : 483 – 489 . Dunbar J, White S, Forney L . ( 1997 ). “Genetic diversity through the looking glass: Effect of enrichment bias . ” Applied and Environmental Microbiology 63 : 1326 – 1331 . Foster J . ( 2001 ). “Evolutionary computation ” Nature Reviews Genetics 2 : 428 – 436 . Dinsdale EA, et al . 2008 . “Functional metagenomic profiling of nine biomes .” Nature 452 : 629 – 632 . Gudelj I, Beardmore RE, Arkin SS, MacLean RC . ( 2007 ). “Constraints on microbial metabolism drive evolutionary diversification in homogeneous environments.” Journal of Evolutionary Biology 20: 1882–1889. Haack SK, Garchow H, Klug MJ, Forney L . ( 1995 ). “Analysis of factors affecting the accuracy, reproducibility, and interpretation of microbial community carbon source utilization patterns .” Applied and Environmental Microbiology 61 : 1458 – 1468 . Lozupone C, Knight R . ( 2007 ). “Global patterns in bacterial diversity .” Proceedings of the National Academy of Sciences 104 : 11436 – 11440 . Thurnheer T, Gmr R, Guggenheim B, ( 2004 ). “Multiplex FISH analysis of a six-species bacterial biofilm . “ Journal of Microbiological Methods 56 : 37 – 47 . Williams HTP, Lenton TM . ( 2007 ). “Artificial selection of simulated microbial ecosystems .” Proceedings of the National Academy of Sciences 104 : 8918 – 8923 . This is the last in a series of articles looking at the past and future of the genome revolution. It is a revolution indeed that has had a beginning with the first phase discovery leading to the Watson-Crick model, the second phase leading to the completion of the Human Genome Project, a third phase in elaboration of ENCODE. But we are entering a fourth phase, not so designated, except that it leads to designing a path to the patient clinical experience. What is most remarkable on this journey, which has little to show in treatment results at this time, is that the boundary between metabolism and genomics is breaking down. The reality is that we are a magnificent “magical” experience in evolutionary time, functioning in a bioenvironment, put rogether like a truly complex machine, and with interacting parts. What are those parts – organelles, a genetic message that may be constrained and it may be modified based on chemical structure, feedback, crosstalk, and signaling pathways. This brings in diet as a source of essential nutrients, exercise as a method for delay of structural loss (not in excess), stress oxidation, repair mechanisms, and an entirely unexpected impact of this knowledge on pharmacotherapy. I illustrate this with some very new observations. The first is a recent talk on how genomic medicine has constructed a novel version of the “printing press”, that led us out of the dark ages. In our series The Creative Destruction of Medicine, I’m trying to get into critical aspects of how we can Schumpeter or reboot the future of healthcare by leveraging the big innovations that are occurring in the digital world, including digital medicine. We have this big thing about evidence-based medicine and, of course, the sanctimonious randomized, placebo-controlled clinical trial. Well, that’s great if one can do that, but often we’re talking about needing thousands, if not tens of thousands, of patients for these types of clinical trials. And things are changing so fast with respect to medicine and, for example, genomically guided interventions that it’s going to become increasingly difficult to justify these very large clinical trials. The next observation is a progression of what he have already learned. The genome has a role is cellular regulation that we could not have dreamed of 25 years ago, or less. The role is far more than just the translation of a message from DNA to RNA to construction of proteins, lipoproteins, cellular and organelle structures, and more than a regulation of glycosidic and glycolytic pathways, and under the influence of endocrine and apocrine interactions. Despite what we have learned, the strength of inter-molecular interactions, strong and weak chemical bonds, essential for 3-D folding, we know little about the importance of trace metals that have key roles in catalysis and because of their orbital structures, are essential for organic-inorganic interplay. This will not be coming soon because we know almost nothing about the intracellular, interstitial, and intrvesicular distributions and how they affect the metabolic – truly metabolic events. I shall however, use some new information that gives real cause for joy. New and emerging strategies were showcased at Gordon Conference’s recent “Reprogramming Cell Fate” meeting. For example, cutting-edge studies described how only a handful of key transcription factors were needed to entirely reprogram cells. The second read-out is the activation of Oct4, a key transcription factor involved in ESC development. The expression of Oct4 in epiSCs requires its proximal enhancer. Dr. Surani said that their cell-based system demonstrates how a systematic analysis can be performed to analyze how other key genes contribute to the many-faceted events involved in reprogramming the germline. A number of other recent studies have shown the importance of Oct4 for self-renewal of undifferentiated ESCs. 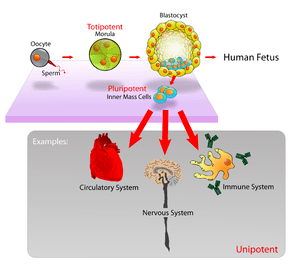 It is sufficient to induce pluripotency in neural tissues and somatic cells, among others. 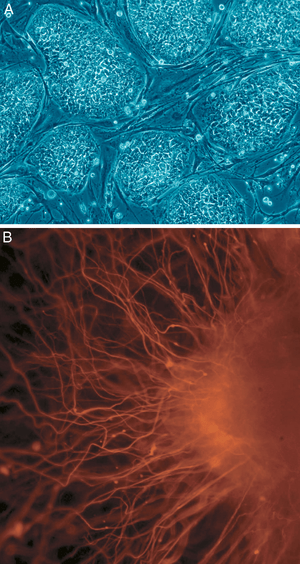 The expression of Oct4 must be tightly regulated to control cellular differentiation. But, Oct4 is much more than a simple regulator of pluripotency, according to Hans R. Schöler, Ph.D., professor in the department of cell and developmental biology at the Max Planck Institute for Molecular Biomedicine. Oct4 is the gatekeeper into and out of the reprogramming expressway. By modifying experimental conditions, Oct4 plus additional factors can induce formation of iPSCs, epiblast stem cells, neural cells, or cardiac cells. Dr. Schöler suggests that Oct4 a potentially key factor not only for inducing iPSCs but also for transdifferention. “Therapeutic applications might eventually focus less on pluripotency and more on multipotency, especially if one can dedifferentiate cells within the same lineage. Although fibroblasts are from a different germ layer, we recently showed that adding a cocktail of transcription factors induces mouse fibroblasts to directly acquire a neural stem cell identity. Pioneer transcription factors take the lead in facilitating cellular reprogramming and responses to environmental cues. Multicellular organisms consist of functionally distinct cellular types produced by differential activation of gene expression. They seek out and bind specific regulatory sequences in DNA. Even though DNA is coated with and condensed into a thick fiber of chromatin. The pioneer factor, discovered by Prof. KS Zaret at UPenn SOM in 1996, he says, endows the competence for gene activity, being among the first transcription factors to engage and pry open the target sites in chromatin. 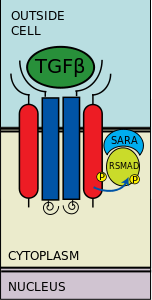 Citation: M. E. Hubbi, Kshitiz, D. M. Gilkes, S. Rey, C. C. Wong, W. Luo, D.-H. Kim, C. V. Dang, A. Levchenko, G. L. Semenza, A Nontranscriptional Role for HIF-1α as a Direct Inhibitor of DNA Replication. Sci. Signal. 6, ra10 (2013). Beth Levine and colleagues have constructed a cell-permeable peptide derived from part of an autophagy protein called beclin 1. This peptide is a potent inducer of autophagy in mammalian cells and in vivo in mice and was effective in the clearance of several viruses including chikungunya virus, West Nile virus and HIV-1. Could this small autophagy-inducing peptide may be effective in the prevention and treatment of human diseases? We have purified a human histone H4 lysine 20methyl-transferase and cloned the encoding gene, PR/SET07. A mutation in Drosophila pr-set7 is lethal: second in-star larval death coincides with the loss of H4 lysine 20 methylation, indicating a fundamental role for PR-Set7 in development. Transcriptionally competent regions lack H4 lysine 20 methylation, but the modification coincided with condensed chromosomal regions polytene chromosomes, including chromocenter euchromatic arms. The Drosophila male X chromosome, which is hyperacetylated at H4 lysine 16, has significantly decreased levels of lysine 20 methylation compared to that of females. In vitro, methylation of lysine 20 and acetylation of lysine 16 on the H4 tail are competitive. Taken together, these results support the hypothesis that methylation of H4 lysine 20 maintains silent chromatin, in part, by precluding neighboring acetylation on the H4 tail. With recent advancements and a radical decline in sequencing costs, the popularity of next generation sequencing (NGS) has skyrocketed. As costs become less prohibitive and methods become simpler and more widespread, researchers are choosing NGS over microarrays for more of their genomic applications. The immense number of journal articles citing NGS technologies it looks like NGS is no longer just for the early adopters. Once thought of as cost prohibitive and technically out of reach, NGS has become a mainstream option for many laboratories, allowing researchers to generate more complete and scientifically accurate data than previously possible with microarrays. 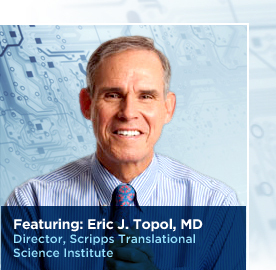 Researchers have been eager to use NGS for gene expression experiments for a detailed look at the transcriptome. Arrays suffer from fundamental ‘design bias’ —they only return results from those regions for which probes have been designed. The various RNA-Seq methods cover all aspects of the transcriptome without any a priori knowledge of it, allowing for the analysis of such things as novel transcripts, splice junctions and noncoding RNAs. Despite NGS advancements, expression arrays are still cheaper and easier when processing large numbers of samples (e.g., hundreds to thousands). While NGS unquestionably provides a more complete picture of the methylome, whole genome methods are still quite expensive. To reduce costs and increase throughput, some researchers are using targeted methods, which only look at a portion of the methylome. Because details of exactly how methylation impacts the genome and transcriptome are still being investigated, many researchers find a combination of NGS for discovery and microarrays for rapid profiling. They are interested in ease of use, consistent results, and regulatory approval, which microarrays offer. With NGS, there’s always the possibility of revealing something new and unexpected. Clinicians aren’t prepared for the extra information NGS offers. But the power and potential cost savings of NGS-based diagnostics is alluring, leading to their cautious adoption for certain tests such as non-invasive prenatal testing. Perhaps the application that has made the least progress in transitioning to NGS is cytogenetics. Researchers and clinicians, who are used to using older technologies such as karyotyping, are just now starting to embrace microarrays. NGS has the potential to offer even higher resolution and a more comprehensive view of the genome, but it currently comes at a substantially higher price due to the greater sequencing depth. While dropping prices and maturing technology are causing NGS to make headway in becoming the technology of choice for a wide range of applications, the transition away from microarrays is a long and varied one. Different applications have different requirements, so researchers need to carefully weigh their options when making the choice to switch to a new technology or platform. Regardless of which technology they choose, genomic researchers have never had more options. Cliff Han, PhD, team leader at the Joint Genome Institute in the Los Alamo National Lab, was one of a number of scientists who made presentations regarding target enrichment at the “Sequencing, Finishing, and Analysis in the Future” (SFAF) conference in Santa Fe, which was co-sponsored by the Los Alamos National Laboratory and DOE Joint Genome Institute. One of the main challenges is that of target enrichment: the selective sequencing of genomic or transcriptomic regions. The polymerase chain reaction (PCR) can be considered the original target-enrichment technique and continues to be useful in contexts such as genome finishing. “One target set is the unique gaps—the gaps in the unique sequence regions. Another is to enrich the repetitive sequences…ribosomal RNA regions, which together are about 5 kb or 6 kb.” The unique-sequence gaps targeted for PCR with 40-nucleotide primers complementary to sequences adjacent to the gaps, did not yield the several-hundred-fold enrichment expected based on previously published work. “We got a maximum of 70-fold enrichment and generally in the dozens of fold of enrichment,” noted Dr. Han. “We enrich the genome, put the enriched fragments onto the Pacific Biosciences sequencer, and sequence the repeats,” continued Dr. Han. “In many parts of the sequence there will be a unique sequence anchored at one or both ends of it, and that will help us to link these scaffolds together.” This work, while promising, will remain unpublished for now, as the Joint Genome Institute has shifted its resources to other projects. At the SFAF conference Dr. Jones focused on going beyond basic target enrichment and described new tools for more efficient NGS research. “Hybridization methods are flexible and have multiple stop-start sites, and you can capture very large sizes, but they require library prep,” said Jennifer Carter Jones, Ph.D., a genomics field applications scientist at Agilent. “With PCR-based methods, you have to design PCR primers and you’re doing multiplexed PCR, so it’s limited in the size that you can target. But the workflow is quick because there’s no library preparation; you’re just doing PCR.” She discussed Agilent’s recently acquired HaloPlex technology, a hybrid system that includes both a hybridization step and a PCR step. Because no library preparation is required, sequencing results can be obtained in about six hours, making it suitable for clinical uses. However, the hybridization step allows capture of targets of up to 5 megabases—longer than purely PCR-based methods can deliver. The Agilent talk also provided details on the applications of SureSelect, the company’s hybridization technology, to Methyl-Seq and RNA-Seq research. With this technology, 120-mer baits hybridize to targets, then are pulled down with streptavidin-coated magnetic beads. These are selections from the SFAF conference, which is expected to be a boost to work on the microbiome, and lead to infectious disease therapeutic approaches.